One of the greatest gifts that humanity has would be the power of one’s imagination. Without imagination, we would not have ended up with such wonderful stories and movies over the past few decades (and books would turn back the clock even more), and if your kid shows a streak of being the next master artists, why not let him or her go nuts with the $7.99 Body Doodlers? 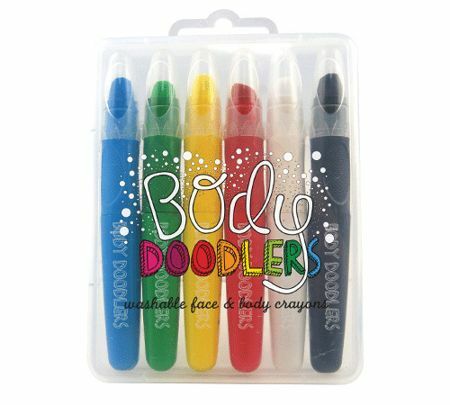 This cool and bright Body Doodlers will definitely turn any body into a piece of living canvas, and fret not, they are washable and can write effortlessly on your skin. Since it is now World Cup fever, I guess coloring one’s face with your favorite team’s flag would be a snap with the Body Doodlers.